He has all the tantrums of a star. When Business Today approached him on email, Evan Luthra wanted a cheque to bless the magazine with an interview. He doesn't give a darn about the Indian media. "I get emails every single day, random magazines asking to cover me," he says. But he seeks out those who can write "valuable content about me". Initially, he didn't want to be photographed either, even though his pictures were all over, on Instagram and in the popular Tumblr blog, 'Rich Kids of Instagram' (though later he gave us time). At times, he is on a cruise with bikini- clad women. A bit-sized video posted shows him in an intimate foreplay. He can drink from two bottles at a party, carry champagne guns, and post his dinner bills. 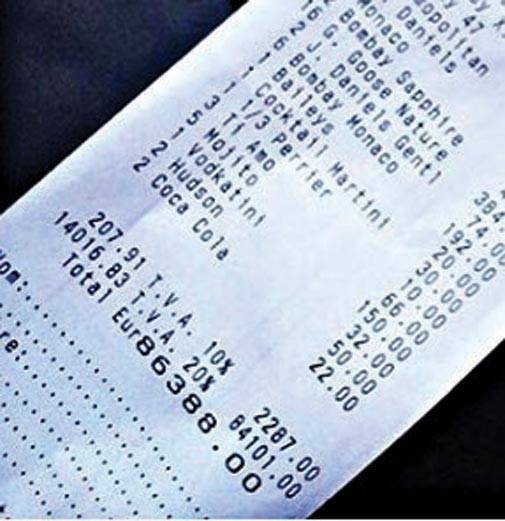 We don't know who paid but a "business lunch" bill posted by him at Monaco Grand Prix totalled Euro 86,388 (around Rs 64 lakh). 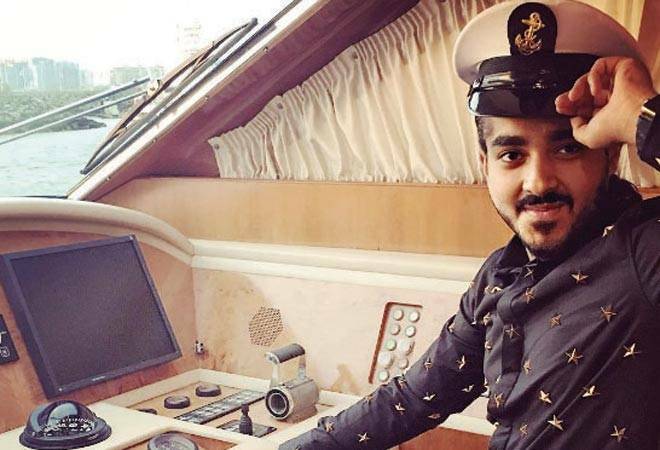 Luthra is a 21-year-old Indian - a rare Indian - you would come across in the popular Tumblr blog that features the flashy lifestyle of rich kids from across the world. The blog has 314,000 followers and receives, on an average, 850,000 unique visitors a month. The founders of the blog are in their 20s but remain anonymous. That is probably true of rich Indian 'kids' too; they don't prefer flaunting their extravagant lifestyles. Surely, India has far wealthier people than Luthra, but scroll the blog and you would struggle to find Indians, leave alone the kids of well-known celebrities. "Anyone who is ultra-rich does not flaunt. At least, not on the social media because in a country where most people are not that rich, you don't want to provoke unnecessary attention on what you own," says Prathap Suthan, Managing Partner and Chief Creative Officer at Bang InThe Middle, a creative design agency. Luthra, of course, doesn't have any such inhibitions. 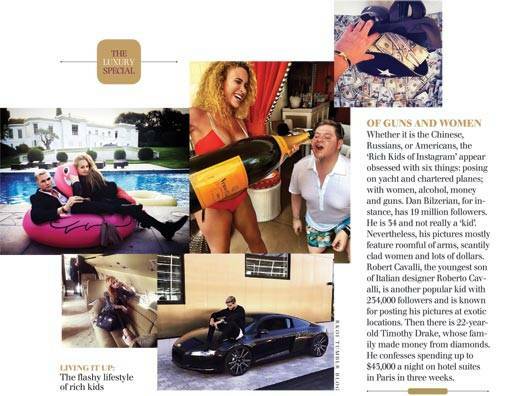 He is a frequent contributor to 'Rich Kids of Instagram' and is famous with 171,000 followers on Instagram. "I did not make that image, I just live my life," he tells this writer. "If you are going to tell me to stop enjoying my life, then I am going to tell you 'who are you'? I just do what I do and I post my photos. Instagram is the tool for that. If I have a nice, luxurious lifestyle, then I am going to show it because I work for it." Business Today meets him at his fathers small office in Noida, with fabric samples and clothes strewn all around us. His father, he informs, is into the textile business. As for Luthra himself, he runs an app developing company, EL Group International, and is also an accredited angel investor. He can be a rich kid but claims to be a self-made one. Although an Indian, most of the photos in the blog are from outside India. He behaves almost like an NRI - "bouncing" between India and England. 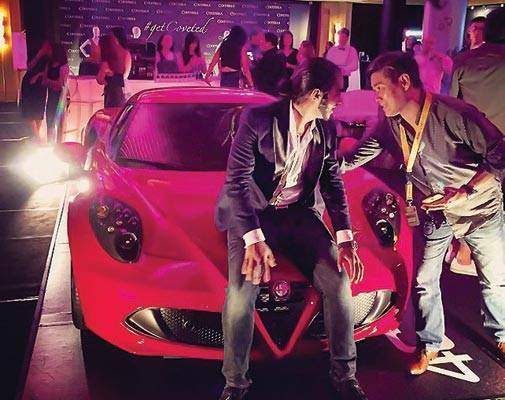 'Rich Kids of Instagram', in fact, does have a few NRIs. There is Param Sharma, often tagged as "the most hated teenager on Internet". He lives in San Francisco and posts images showing off his wealth on Instagram. The source of his money is unknown and there are threads on Reddit that speculate about his parents; on whether he is as wealthy as he claims to be. The 19-year-old is known not only for extravagant posts featuring numerous iPhones or bundles of dollars, but also because he is nasty. Last year, he posted a video calling celebrities like Kim Kardashian and Paris Hilton "peasants". His Instagram handle, @itslavishbitch, has 365,000 followers on Instagram. His introduction isn't pleasant: "My life is like Louis Vuitton everyone wants it. - U made ur bed so sleep in it peasants". Besides Sharma, there is Spanish-Indian jewellery designer Anil Arjandas, who runs a range of boutiques by the same name. Arjandas often posts pictures of watches designed and customised by him on Instagram. The designer has 6,56,000 followers. There is also Romit Patel, another NRI from New Jersey. He likes to post photographs of watches and his fleet of cars comprising Audi, BMW, and Bentley. So, why do these "rich kids" flaunt? Many brand experts think it is mostly the new rich that flaunt. And that those who are the real wealthy don't. "People like to flaunt the holiday they have been to, or the car they bought. There is a lot of flaunting happening - not at the very top but at the next level," says K.V. Sridhar, Chief Creative Officer at Sapient Nitro. These people pay more for any product because they derive an emotional benefit out of it, he adds. The ultra-rich are also getting younger, fuelling this trend to show off. Nevertheless, there is a monetisation side to the flaunting bit. Think of Paris Whitney Hilton, the American socialite, model, actress, and singer who used her fame well, endorsing everything from fragrances and handbags to apartment complexes and stores. She reportedly earns millions a year from such deals. Similarly, the celebrated 'Rich Kids of Instagram' do make money. Brands are trying to leverage their popularity and use them as 'influencers' - maybe not in India just as yet, but certainly in the West. Julia Stakhiva is a case in point. She is a rich kid on the blog, has had her share of controversies, with some even questioning her rich status. She moved to London from Russia at 16 and says that her father is a billionaire industrialist back home. She currently works as an influencer for several brands. "The first brand to contact me was London-based luxury hair care brand The BARDOU. They offered me to visit their saloon and gave me a makeover and some hair care products," Stakhiva, who has 69,000 followers on Instagram, told Business Today. "I posted a picture of me in their saloon after the makeover, tagging them. They got good returns as many of my followers visited their page," she adds. Stakhiva has also acted as influencer for a fashion app, for some young designers and a private jet company. She is now waiting for the bigger luxury brands to approach her. The moral is simple: If you are already rich, you get even richer. In many cases, you don't have to make much of an effort. A few outlandish selfies, and you are set.